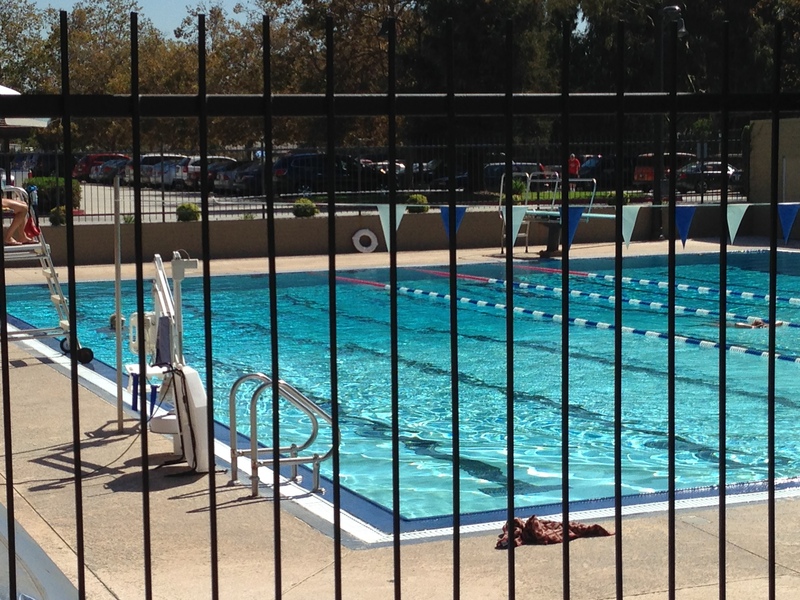 Another beautiful lunch time swim at the Duarte pool. I had my own lane it was great. Alas, today is the last day of September and the last day for this seasonal pool to be open. Boo. 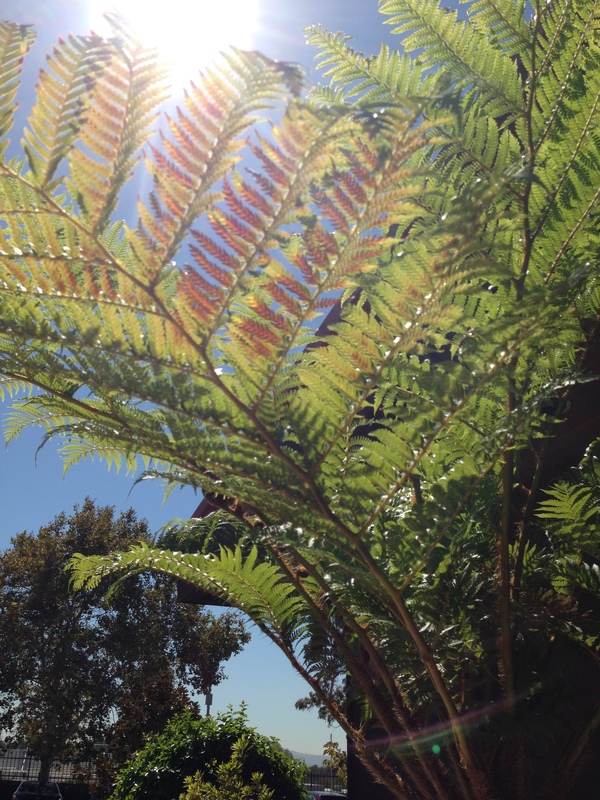 It’s a shame too, because LA is still warm mid-80s today, with a forecast of 100+ through the weekend. 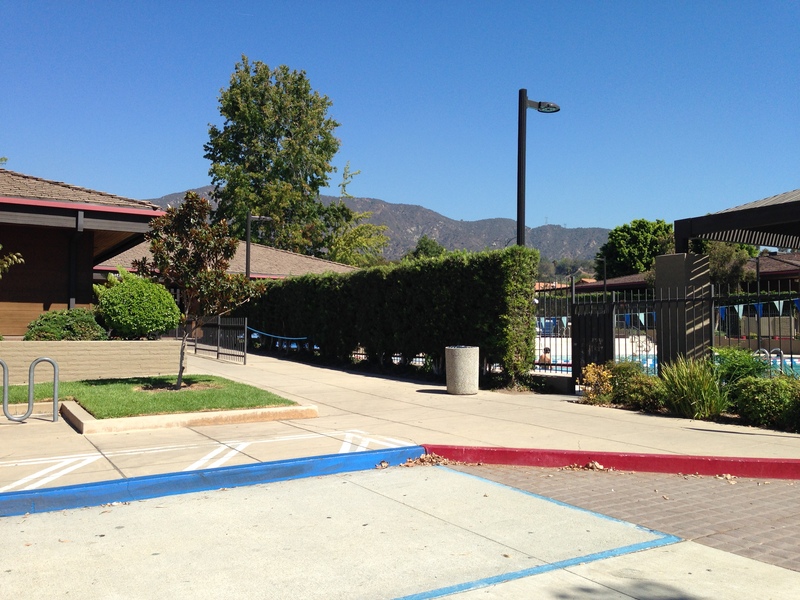 For lunch-time swims, I’ll be headed to El Monte and indoor (chlorine gasp!). It’s actually not too bad. I will miss working on my Speedo tan at lunch time. Until May, I’ll see you later, Duarte! Nice! 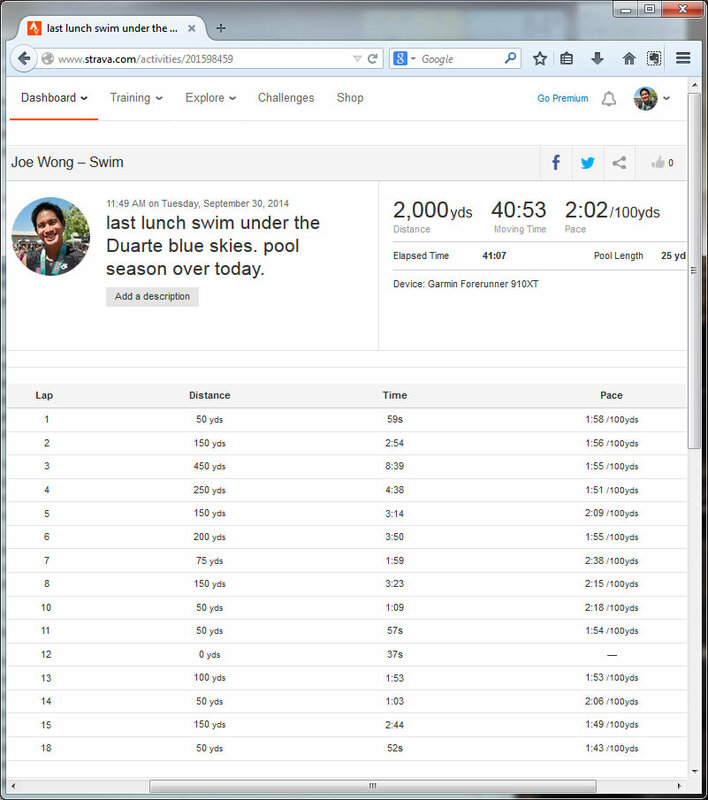 We have a very similar swim speed! that’s hilarious. it must be the push off the wall. thanks! ← Happy 50th Anniversary, Mom and Dad!